We were heading to Dragi Bay, where a camp from the expedition was setup. After this presentation we went on a Zodiac excursion of Dragi Bay to investigate the impressive bird cliffs, before continuing along the coast where a few more Polar Bears were spotted. After a cautious approach we succeeded in getting close to one that was resting on the upper part of the beach. We also made a short landing near the new Karluk memorial erected on the coast. 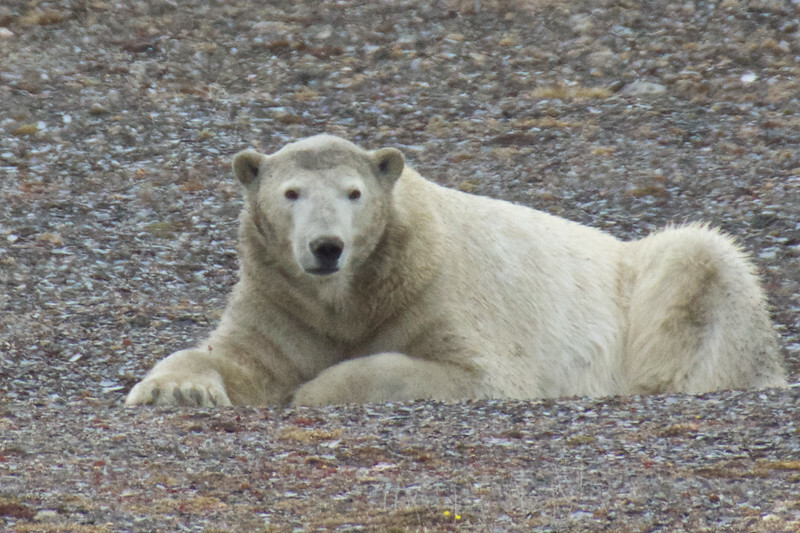 Another Polar Bear was spotted on the coast plateau as we cruised by in the Zodiacs. It stood watching us for a few minutes and we made the most of the opportunity to get some great photos. On the way back to the ship we met a few Bearded Seals.